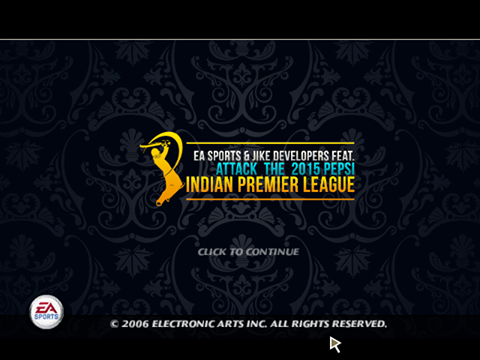 GM StudioZ recently launched a Pepsi IPL 2015 8 Mini Patch for EA Sports Cricket07 available for free download! As the title suggests, it’s a “mini-patch”. So, rosters, fixtures, stadiums are missing and are expected to arrive soon in the mega patch! The installation is simple, just paste all the contents of the .7z (zip file) into the root directory of EA Sports Cricket07 and see the magic in-game! If you encounter any problems, do drop a comment below! How do I go after the main menu to choose my favourite IPL team? i can’t download this file………. where are ipl teams ? plz change overlay ie after match starts every thing is in blue color… starting menu is awesome ,, also u could highlight the selected option ,, the batsman icon is also good but if u have highlight it will be better. Aayush The game works totally fine and I want to know how to record the gameplay ? i hav installed the file and extracted the files in cricket 07 file. after that im clueless what to do.. can anyone help me????? ?